Since May 2016, the organisations involved in the Stowmaket Connect Integrated Neighbourhood Team (INT) have been working closer together to provide the right mix of support in a more efficient and timely manner to meet people’s needs. When a referral is made for an Occupational Therapist, it can be made to both Suffolk Community Health (SCH) and Adult and Community Services (ACS), so it is important that the right service picks up the referral. Through Connect, professionals for both services meet on a weekly basis to discuss all the referrals made to ensure that this is happening. For example, one lady had been referred to have short term reablement support through Adult and Community Services (ACS). However, she wanted the support to take place in the community, rather than her home, so Suffolk Community Health (SCH) ensured that the correct equipment was in place to make this possible. 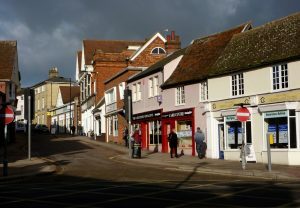 There is a thriving local community in Stowmarket and initiatives made through Connect are ensuring that all services including GP practices and Adult and Community Services (ACS) are linking in with local organisations to ensure that all staff members have good knowledge of what is available in the local area. By working together, services can use this knowledge to make sure local people have access to the support they need when they need it. For example, there has been a recent Lunch n Learn event where local organisations came together with Adult Community Services (ACS) and Suffolk Community Health (SCH) to share details of the support they offer and how people can access it.